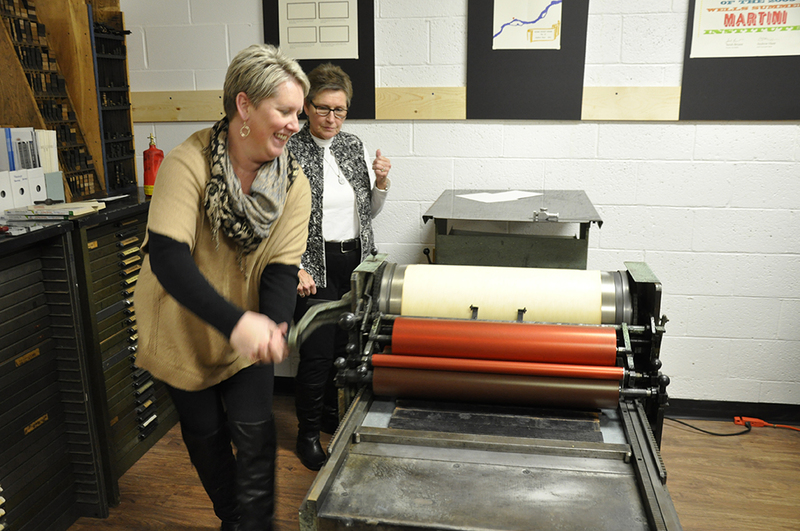 Join us for a fun afternoon of printing in the studio. 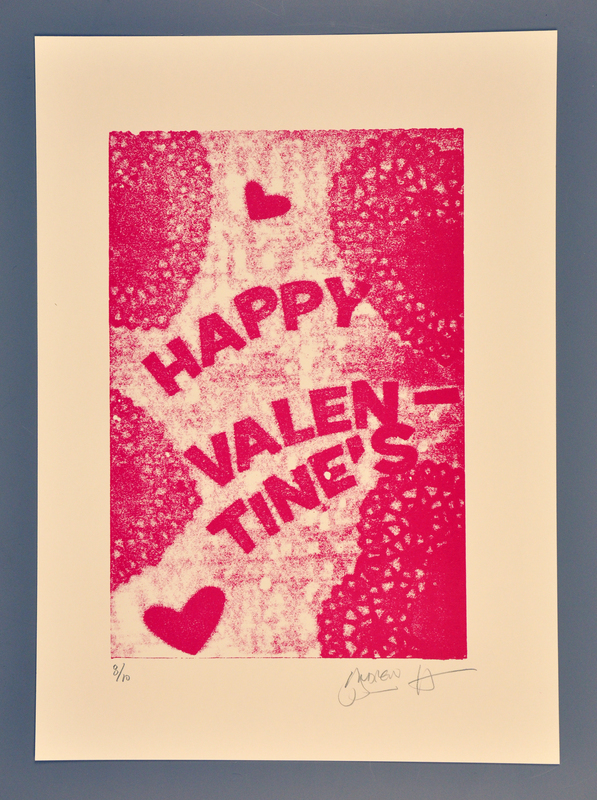 We’ll be making pressure prints, a method similar to rubbings. 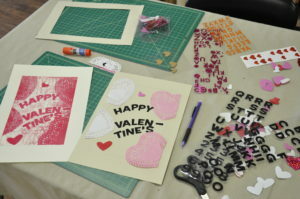 A type-high block is set in the press bed, and a handmade low-relief plate – in this case your collaged shapes and words – is inserted behind the printing paper. The higher the relief, the darker that area is. It’s a quick and simple way of making images and text. Unlike most printing, the text and imagery don’t have to be reversed. Enjoy a FREE glass of wine (21 and older) while you work the presses. 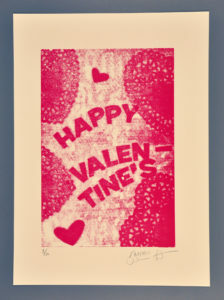 Participants will take home 5 handmade prints and bragging rights that you printed it yourself. 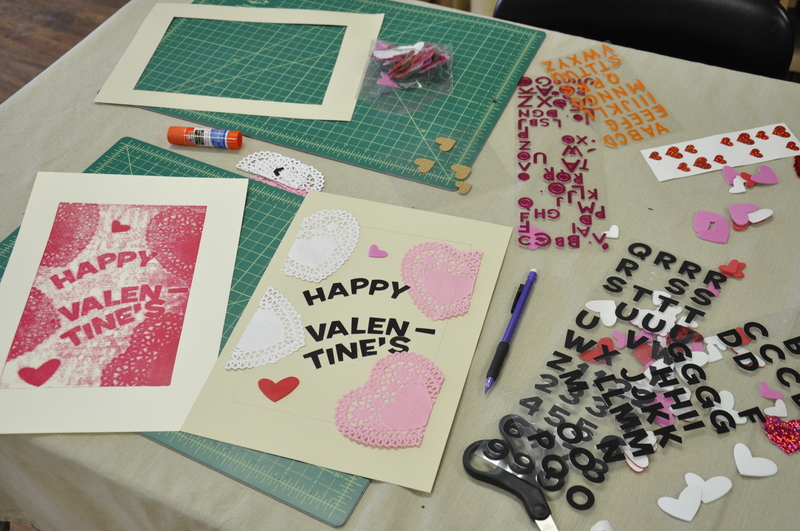 It’s a drop-in event, so come by anytime during the event to make a print. Saturday, February 3, 1:00 pm – 6:00 pm, $15 for the afternoon. Register now by sending us an e-mail (bigriverbindery@gmail.com). Your registration fees can be paid on-site via cash, check, or card. This entry was posted in Uncategorized on January 16, 2018 by bigriverbindery.